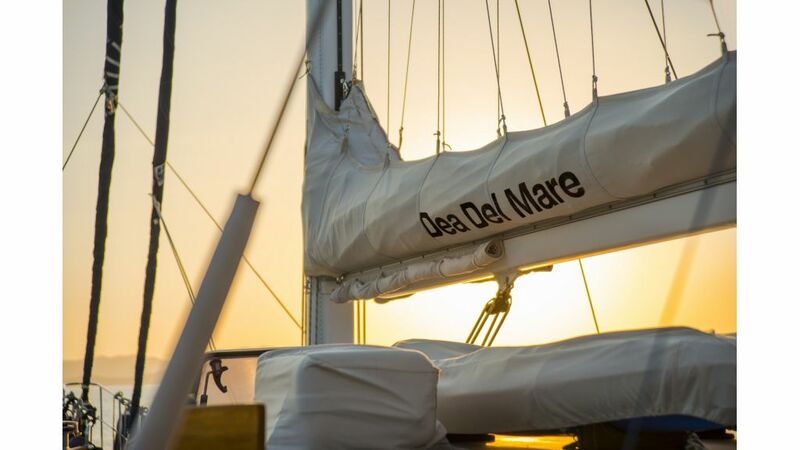 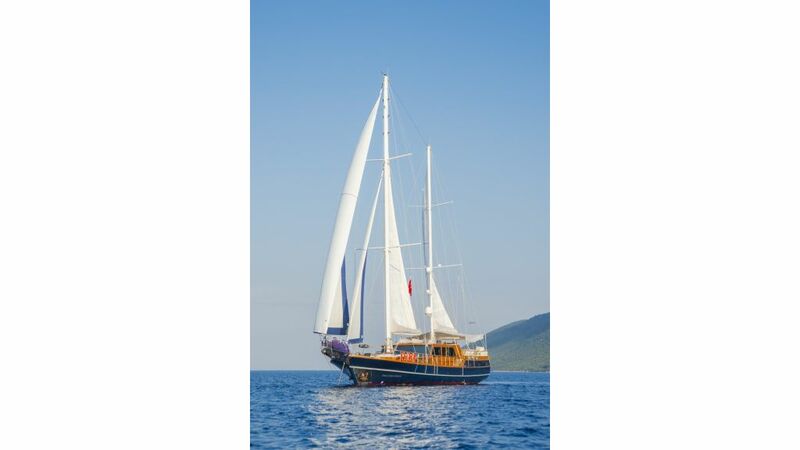 Turkish Gulet Dea Del Mare was launched in 2009 and was designed for total peace of mind, relaxation. 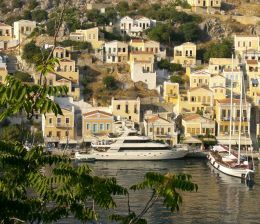 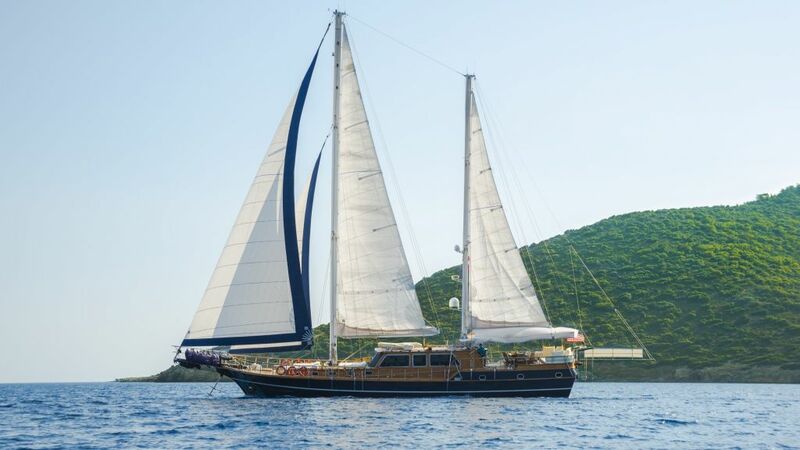 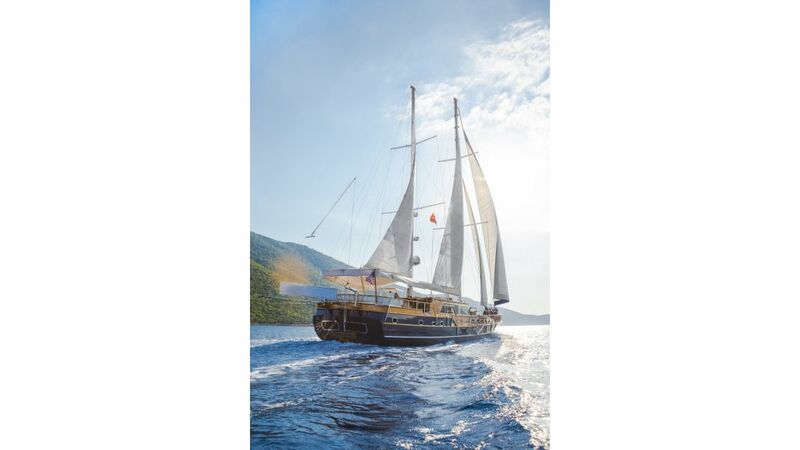 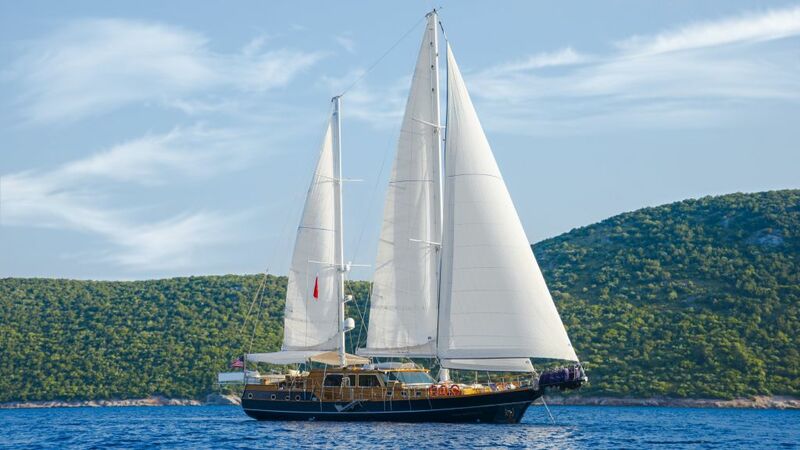 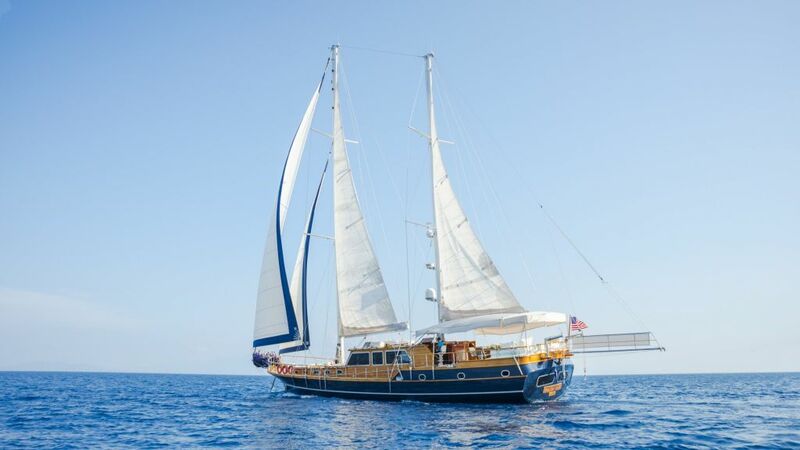 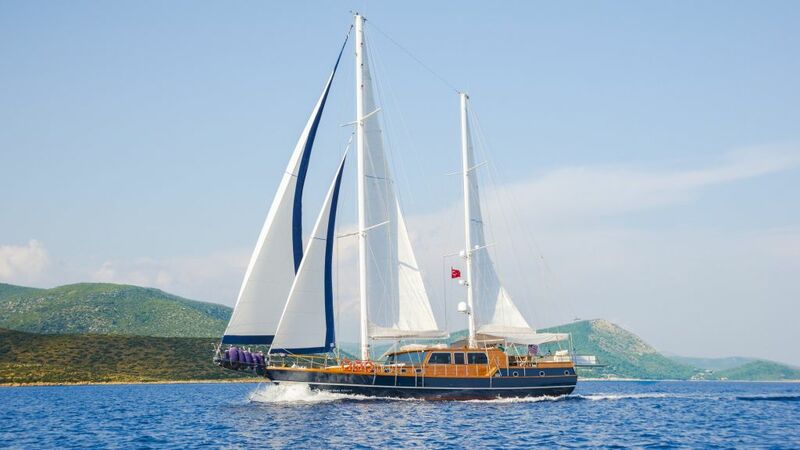 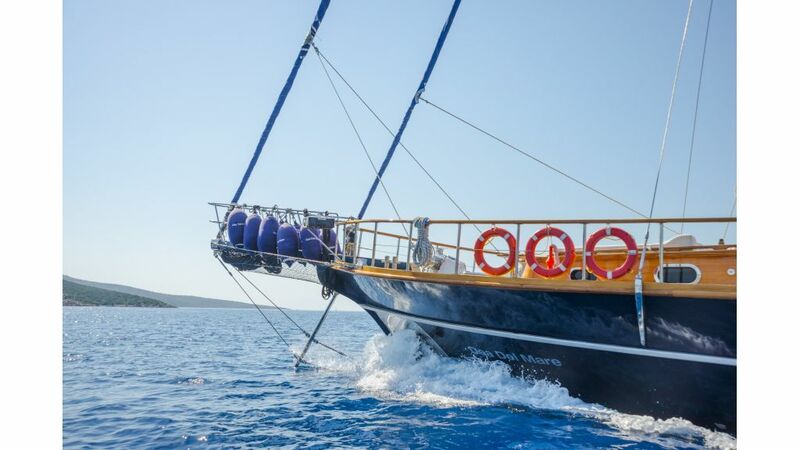 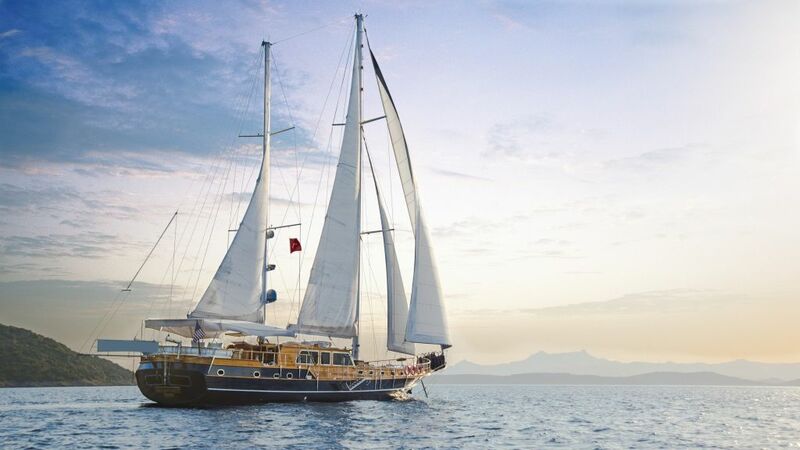 Gulet Dea Delmare is a beautiful modern classic motor sailor based in Turkey and available for luxury yacht charters. 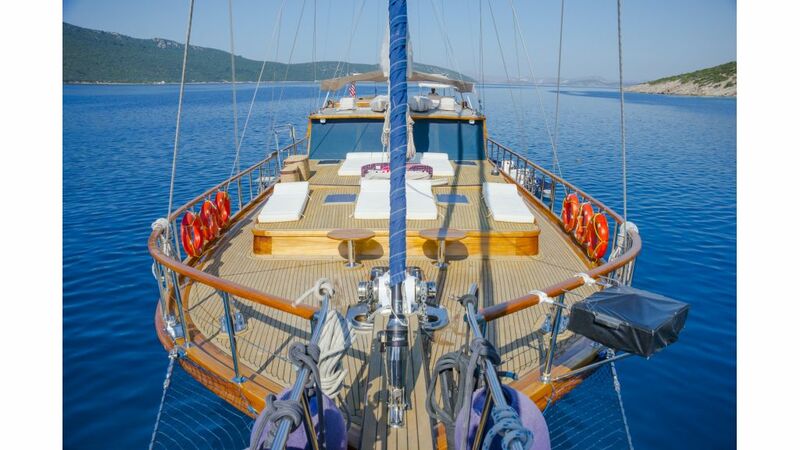 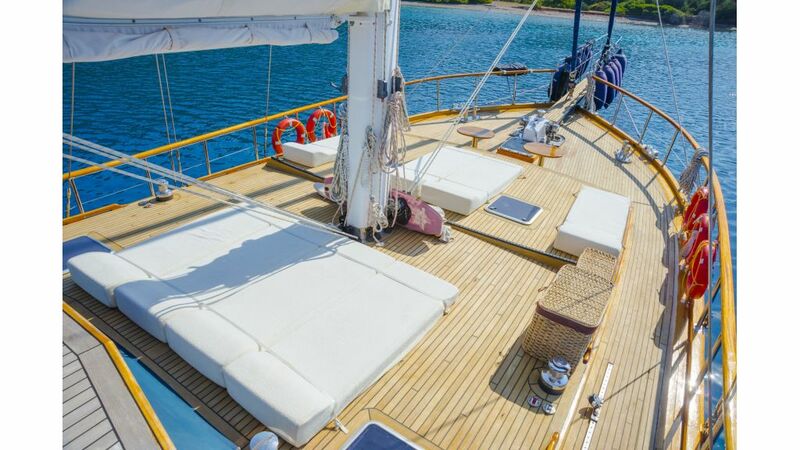 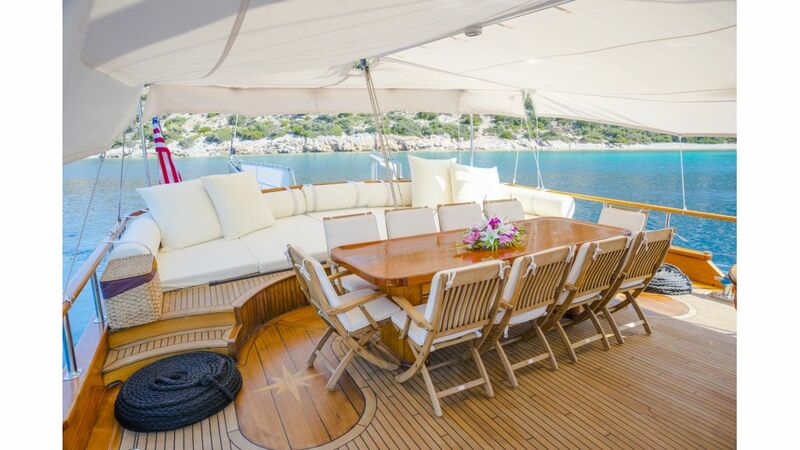 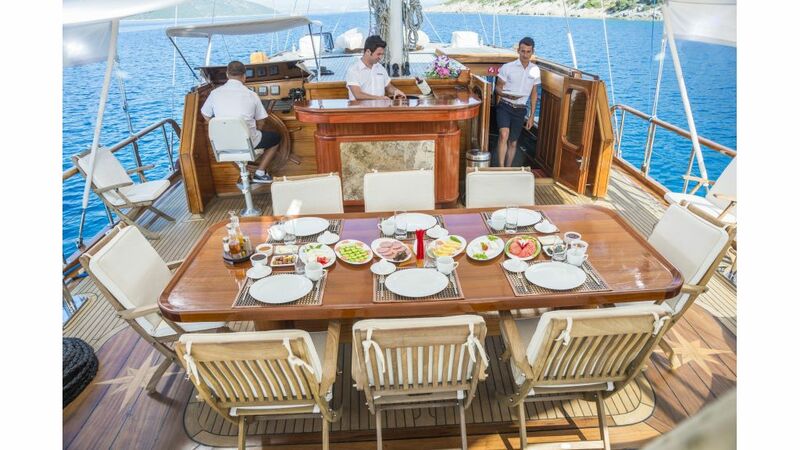 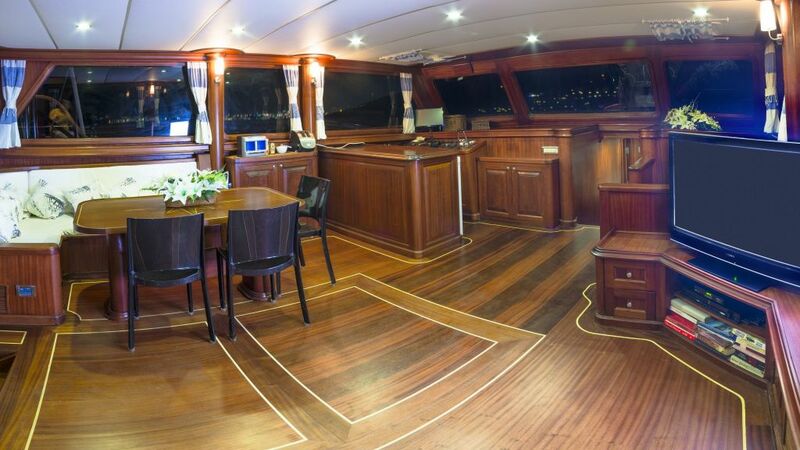 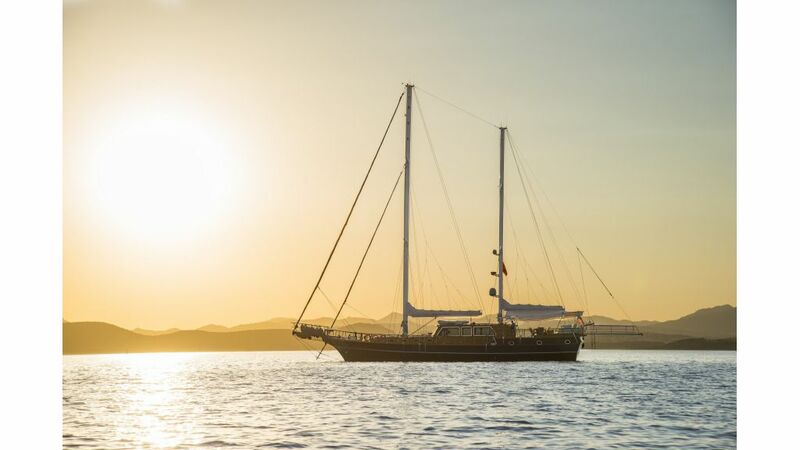 Gulet Dea Del mare is a wide beamy vessel which offers guests a spacious saloon and spacious decks to relax. 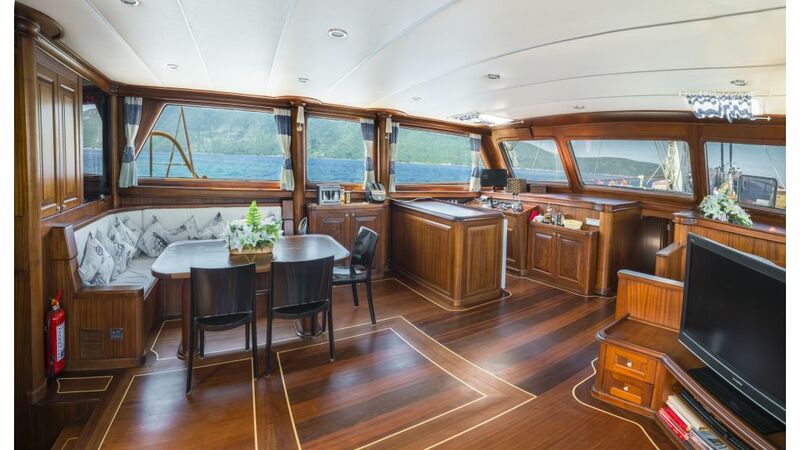 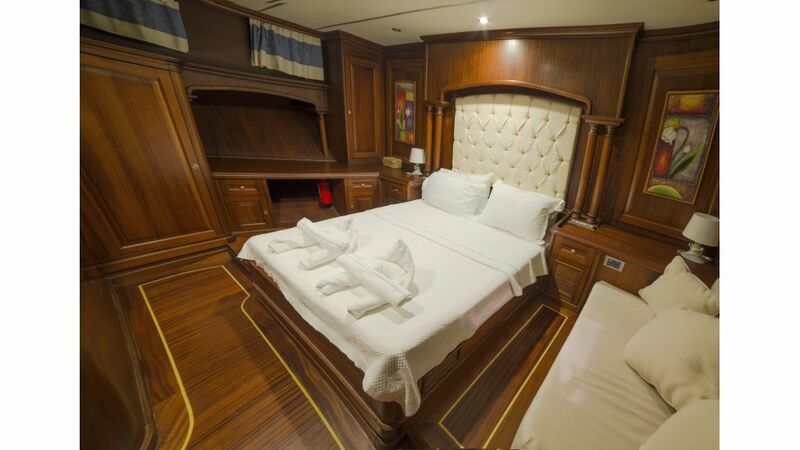 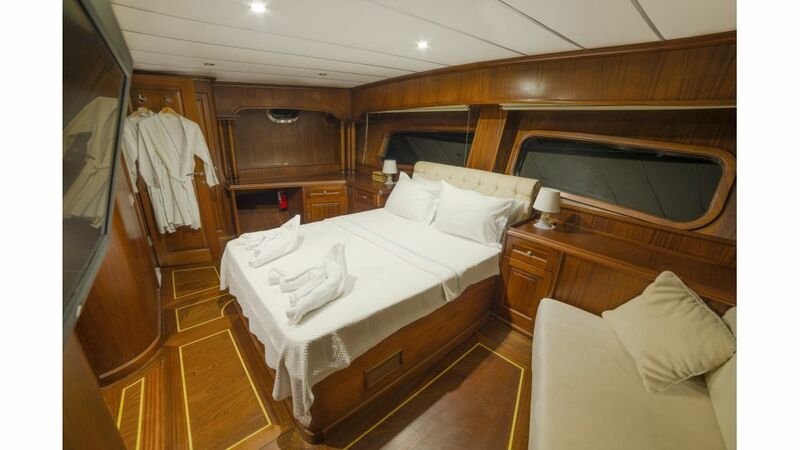 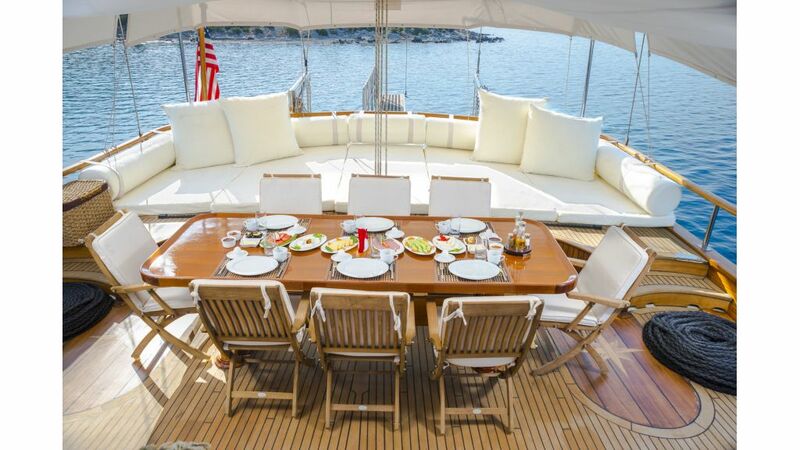 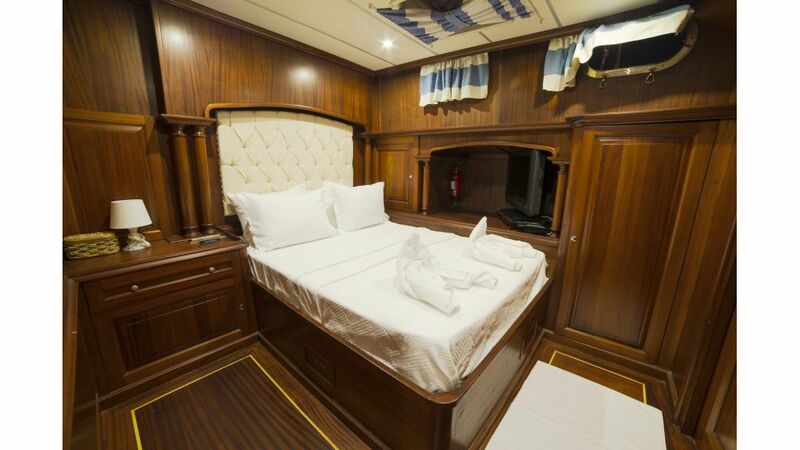 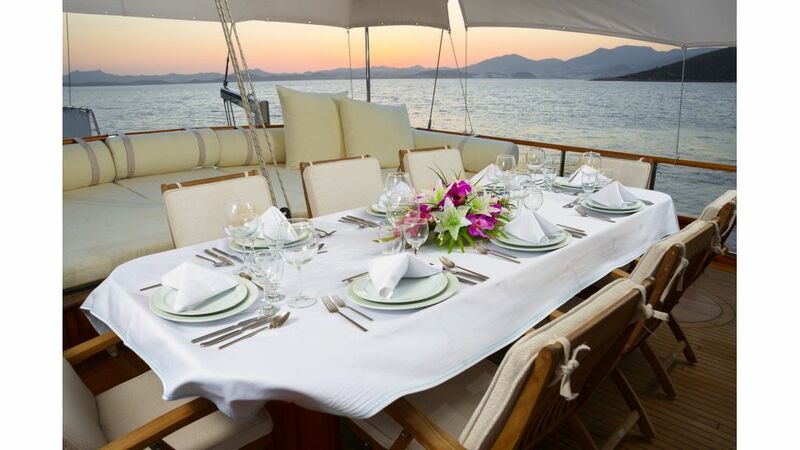 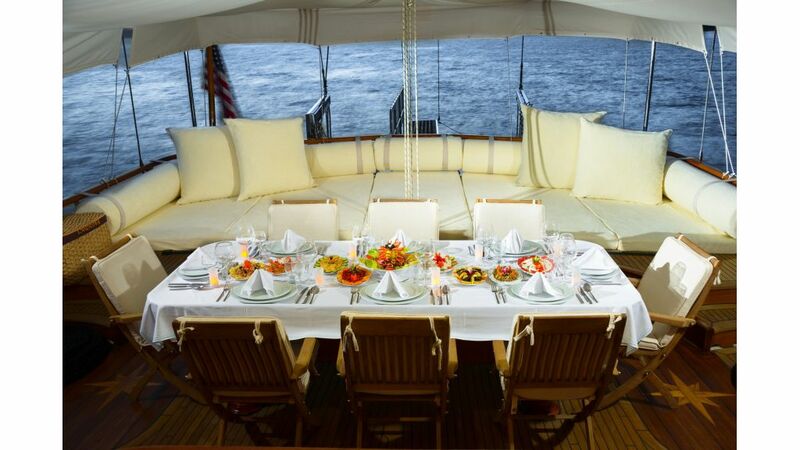 Below decks, Gulet Dea Del Mare offers spacious accommodation for10 guests in two equal sized master cabins plus one twin and two double cabin. 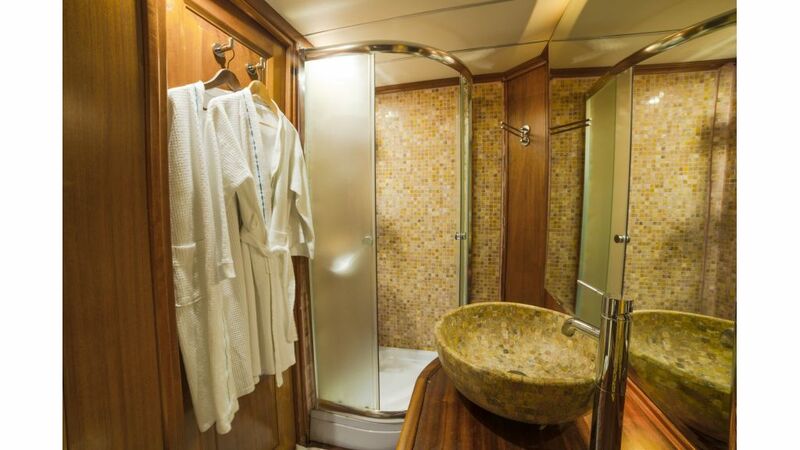 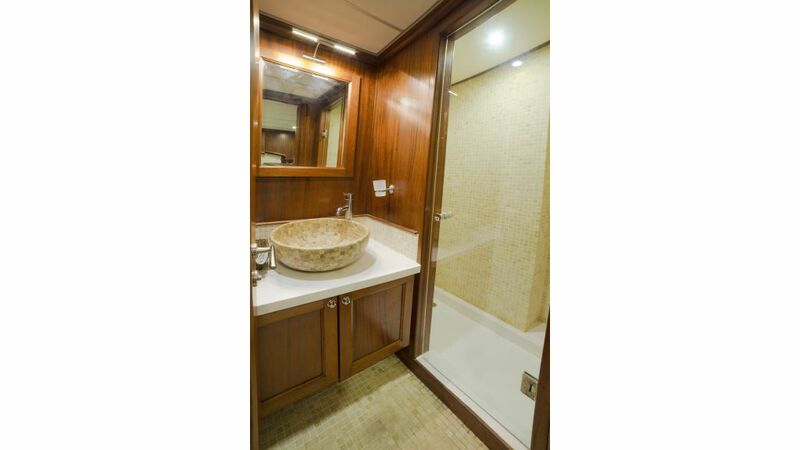 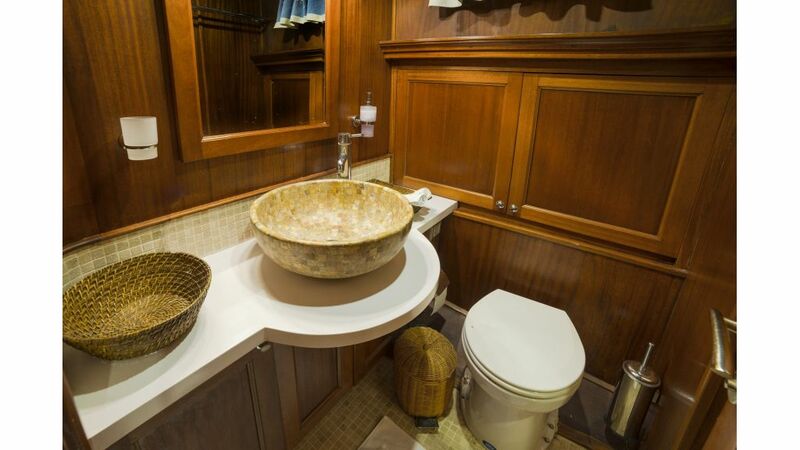 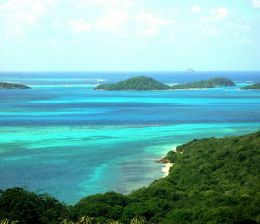 Each cabin is full air conditioned and equipped with an ensuite bathroom and personal entertainment systems. 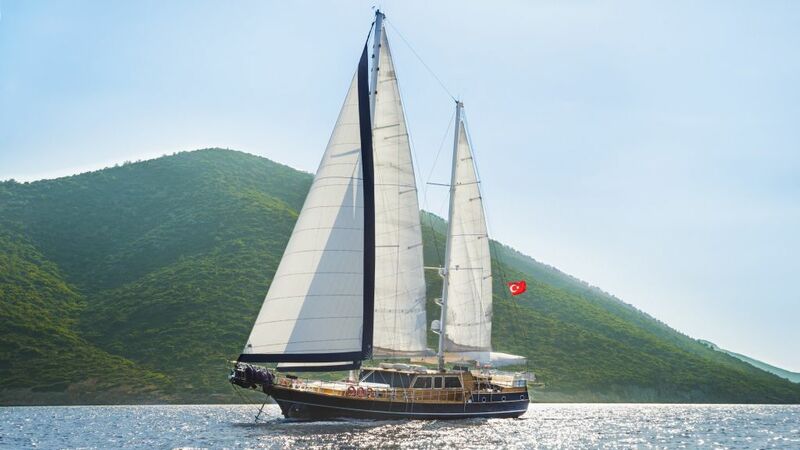 Enjoy the dedicated service of four professional crew while cruising the crystal clear waters the Turkish coastline offers.